Classic, minimalist personalised sterling silver round cufflinks etched with a hidden message on the back of the cufflinks - something between you and the wearer. 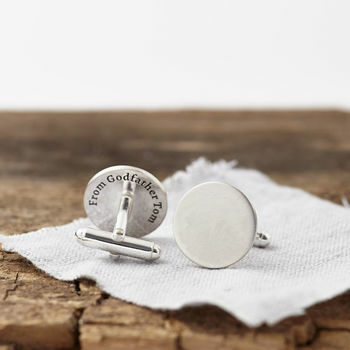 A special, personal gift that will be treasured for years to come, these timeless cufflinks make a wonderful gift with subtle, secret personalisation. 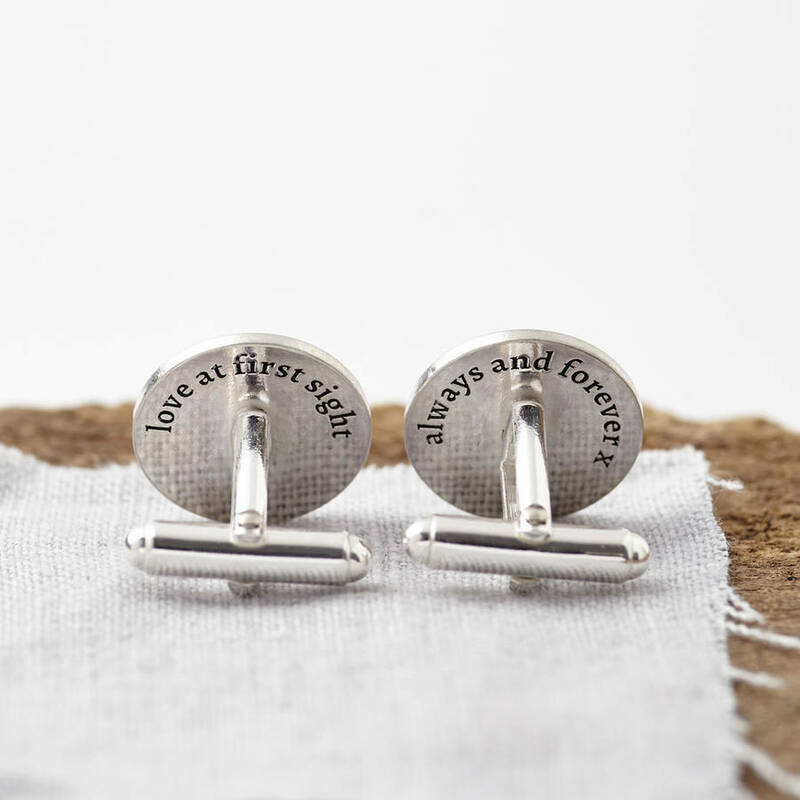 They are beautifully presented in a Sallly Clay Jewellery cufflink box. 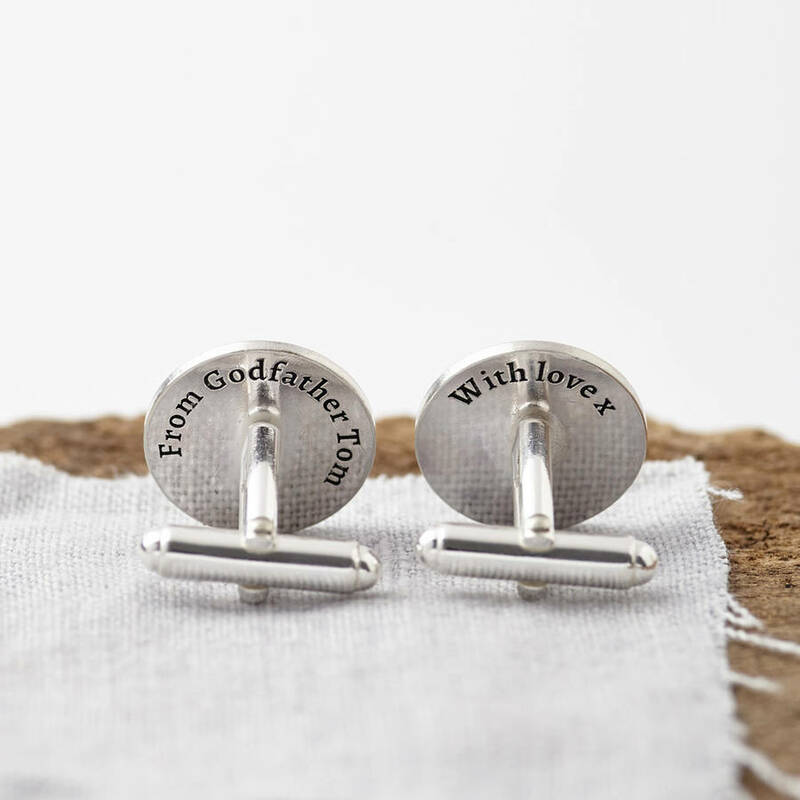 The hidden personalisation means that only you and the recipient will know that this is a personalised piece of jewellery! Fronts approx 1.8cm in a brushed, satin finish.